Amid growing global concerns of displaced persons and their impact on the countries they’re entering and those they’re leaving, Lawrence University will honor an international expert on refugee policy Sunday, June 11 at its 168th commencement. 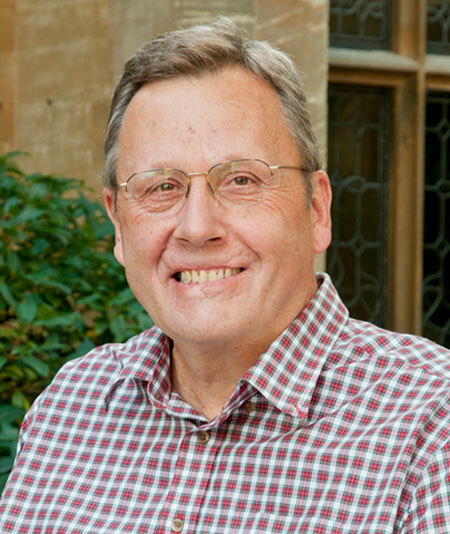 Gil Loescher, a visiting professor at the University of Oxford’s Refugee Studies Centre, will be awarded an honorary Doctor of Humane Letters degree during commencement ceremonies that begin at 10:30 a.m. on the Main Hall green. Loescher also will deliver the principal commencement address. This will be Loesher’s second honorary degree. He received an honorary doctorate of law in 2006 from the University of Notre Dame. Lawrence is expected to award 344 bachelor degrees to 335 students from 28 states, the District of Columbia and 17 countries. 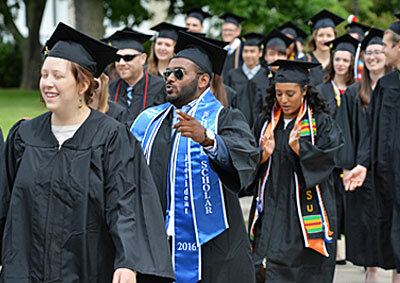 A live webcast of the commencement ceremony will be available at go.lawrence.edu/commencement2017. Peter Thomas, associate professor of Russian Studies at Lawrence, will deliver the main address at a baccalaureate service Saturday, June 10 at 11 a.m. in the Lawrence Memorial Chapel. The baccalaureate service and commencement exercise are both free and open to the public. Retiring faculty member Bonnie Koestner, associate professor of music, will be recognized with an honorary master of arts degree, ad eundem, as part of the ceremonies. In addition to Loescher, Lawrence President Mark Burstein, Board of Trustees Chair Susan Stillman Kane and senior Andres Capous of San Jose, Costa Rica, also will address the graduates. During a 40-plus-year career, Loescher has established himself as an authority on refugee policy. Prior to joining Oxford’s Refugee Studies Centre in 2008, Loescher held appointments as Senior Fellow for Forced Migration and International Security at the International Institute for Strategic Studies in London and as senior researcher at the European Council on Refugees and Exiles. According to Loescher, containing refugees in camps prevents them from contributing to regional development and state-building. “Refugees frequently have skills that are critical to future peace-building and development efforts, either where they are or in their countries of origin following their return home,” he has said. A miraculous survivor of a suicide bomber attack in Baghdad, Iraq, Loescher has a long history of working with the United Nations, especially the UN High Commissioner for Human Rights. In August, 2003, Loescher was in the office of then UN High Commissioner for Human Rights Sérgio Vieira de Mello at the Canal Hotel in Baghdad when a suicide bomber detonated a truck bomb outside the building. The blast killed more than 20 people and injured more than 100. Loescher was one of nine people in the office, seven of whom were killed instantly. He and Vieria de Mello were trapped in the debris of the collapsed building as American soldiers spent more than three hours trying to rescue them. Vieria de Mello died before he could be extricated. While Loescher survived, his legs were crushed and had to be amputated by the soldiers. A native of San Francisco, Loescher began his career at the University of Notre Dame, where he spent 26 years teaching in the political science department. During his tenure, he held appointments in the Notre Dame’s Helen Kellogg Institute of International Studies, the Joan Kroc Institute of International Peace Studies and the Center for Civil and Human Rights. He also has served as a visiting fellow at Princeton University, the London School of Economics and the Department of Humanitarian Affairs at the U.S. State Department. He has been the recipient of numerous honors and research grants from organizations ranging from the Ford Foundation and the MacArthur Foundation to the Fulbright Program and the British Academy. A graduate of St. Mary’s College of California, where he earned a bachelor’s degree in history, Loescher also holds a master’s degree in politics and Asian studies from the Monterey Institute of International Studies and a Ph.D. in international relations from the London School of Economics.